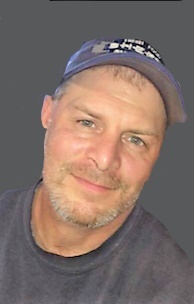 Mark C. Nearhoof, 48, rural Roaring Spring, passed away unexpectedly Friday morning, February 1, 2019 at UPMC Altoona following an accidental fall. He was born in Roaring Spring, son of Hazel E. (Talbert) Nearhoof and the late Charles B. Nearhoof. Surviving are his mother of rural Roaring Spring; a son, Shane Ayers Nearhoof of Martinsburg; a daughter, Neeley Ann Ayers of Martinsburg; a grandson, Kerrigan Keith Ayers; his children’s mother, Barbara Ayers of Martinsburg; and a sister, Vicki L. Stetter of Greensboro, NC. Mark attended Blair Christian School, Duncansville and was a 1989 graduate of Central High School, Martinsburg. He worked for many years in residential construction and was also an excellent mechanic. Mark loved working on cars and spending time in his garage, he also enjoyed four wheeling, boating at Raystown and was an avid hunter. Friends will be received from 6-8pm, Friday, February 8, 2019 at John K. Bolger Funeral Home Inc., Martinsburg and from 10 until the 11am funeral service, Saturday, February 9, 2019 at Foot of Ten Independent Baptist Church, Duncansville, Pastor Matthew Osborn officiating. Private interment will be held at Frankstown Cemetery, rural Hollidaysburg.